It is very hard to find Italian clothes that is not trendy, stylish and high qulity, ValMax is not an exception. 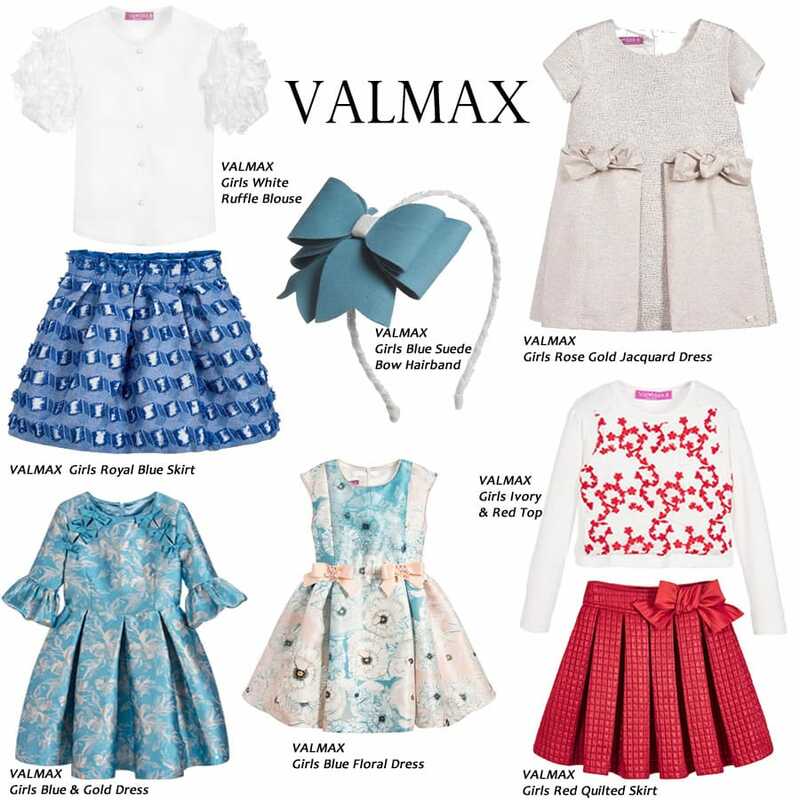 Since 1959 Val Max company produces perfect children clothing to make child’s life happier and parents life easier. Every time you buy these children wear you can be sure that it is right decision to spend your money, because quality can not be cheap. For these look new season 2018 collection items were chosen and well as sale collection dresses, but it does not matter is it new collection or not it is always look gorgeous. Hope these outfit mixes were useful and it will be easier for you to choose some new wardrobe items for your child.